Just like your bank savings deposit, you can also withdraw or claim your contributions from the Home Development Mutual Fund (HDMF) or Pag-IBIG. If you are a member of Pag-IBIG and diligently paid your contributions, you are entitled of claiming your total accumulated savings or TAV, monthly savings, employer share, and total annual dividend earnings. However, there are certain criteria a Pag-IBIG member needs to satisfy before he or she is considered eligible to withdraw his or her contribution. 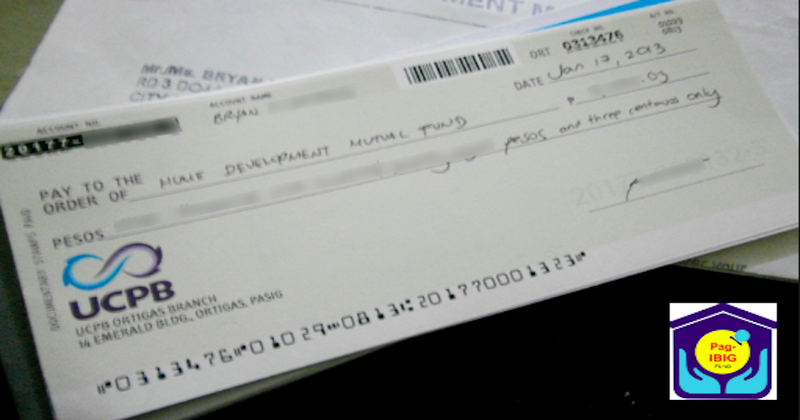 Below is the complete guide to claiming your Pag-IBIG contribution. 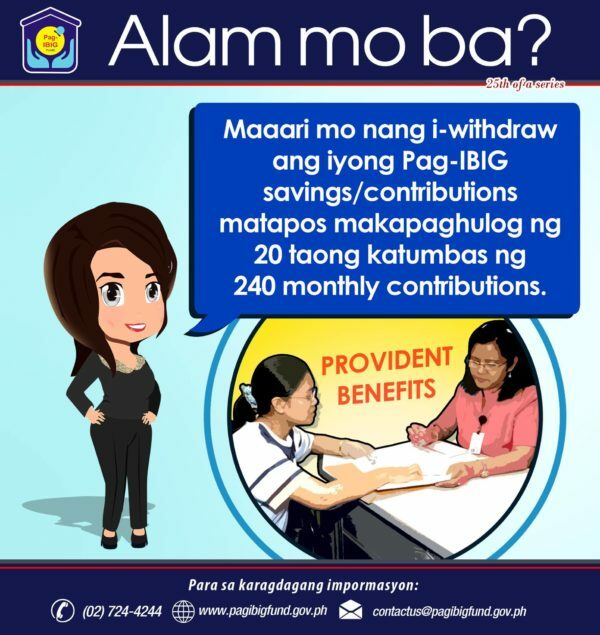 First, you need to know if you are eligible in claiming your Pag-IBIG savings or Provident Benefits Claim. Read on! You've paid your Pag-IBIG contributions for at least 20 years, equivalent to 240 monthly payments. If you're a Pag-IBIG Overseas Program (POP) member, you can claim your contributions at the end of five, 10, 15, or 20 years, depending on the option you chose during your membership registration. 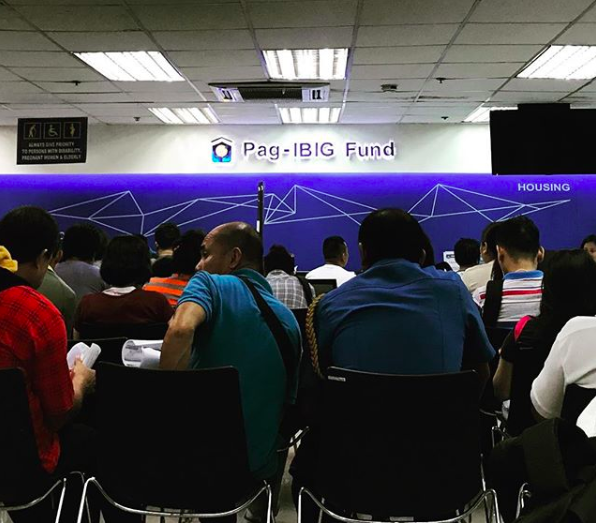 Check this guide to learn the ways to check your Pag-IBIG contribution payments. When you reach 65 years old, you'll be under compulsory retirement and thus eligible to claim your Pag-IBIG contributions. You may retire earlier at age 60, from the SSS, GSIS, or government service, or under your private employer's retirement plan, as long as you're at least 45 years old. Pag-IBIG members with physical and/or mental disability due to an illness or injury, causing inability to work or run a business, may apply for Provident Benefits Claim. If you can no longer work because of severe health conditions, you can make a claim for your Pag-IBIG contributions. You need a doctor's certification for this. You can withdraw your Pag-IBIG savings before you leave the Philippines to live permanently abroad. But you have to show proof that your new country of residence has allowed you to live there indefinitely. 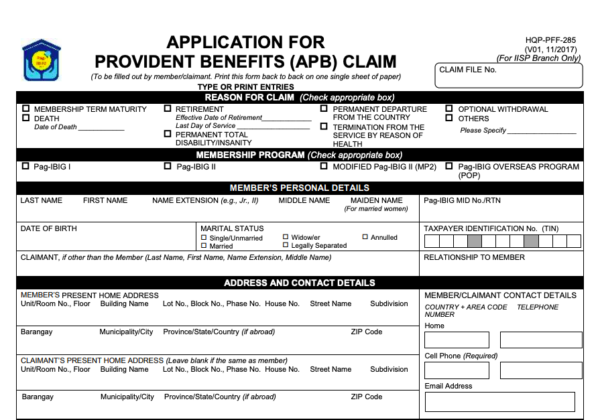 For deceased Pag-IBIG members, their heirs, authorized representatives, or any appointed court administrator or executor can file the application for Provident Benefits Claim. Visit the Pag-IBIG branch where you have a membership record. The staff will check their records to verify if you have filed for Provident Benefits Claim and have any unpaid Pag-IBIG housing loan, multi-purpose loan, or calamity loan. Wait for the verification process to complete. The staff will issue a Provident Benefits Acknowledgment Receipt to you. This claim stub indicates the date for pick-up of your check. Note: Processing of Pag-IBIG contribution claims takes around eight working days (or 20 working days if you have records with other Pag-IBIG branches). If released through check, go to the Pag-IBIG office and present your claim stub and two valid IDs at the Cashier. If released through your payroll account or disbursement card, go to any accredited ATM or bank and check then withdraw the proceeds.